Car advertising is all around us nowadays. With ingenious creativity, it tries to lull us into buying a new car. Which later turns out to be much more mediocre than the ad would have you believe. And then you have these other cars – the ones that need no advertising. The ones you have been dreaming about since you were a kid: the Lambo, the Bugatti, and of course, the Ferrari. The Italian company has plenty of models to brag about, that is certain. Still, the Testarossa’s rise to fame has contributed a lot to the brand’s popularity. The model has become a true classic in recent years, and we are diving a bit deeper to figure out what made it so great. Shall we start? It all began in 1981 with the initial concept of what would later become the iconic vehicle. Called Type F110, the car’s main idea was not actually anything grandiose. Ferrari simply wanted a better replacement for their Berlinetta Boxer, which had several glaring issues. In the span of about 3 years, Ferrari Testarossa was being perfected in both major and subtle ways. So much thought went into it, that every aesthetic piece had also some important function to serve. This resulted in an incredibly low drag coefficient for the time. Or to put it in simple terms – the car could speed up like crazy. One of the funny things is that the Testarossa continued to fuel the feud with Lamborghini. The latter company had already come up with the Countach – an incredibly aerodynamic vehicle. But Ferrari could not let this slide. They wanted the Testarossa to be better and they did it. It achieved even better aerodynamics. To add insult to injury they managed to do it without even needing a spoiler. Depending on who you ask the 1980s were either awesome or incredibly cheesy. This applies to pop culture, movies, fashion trends, and even cars. However, when you mash two of these categories together, you either get an epic win or an epic fail. Do you remember Miami Vice? Along with the Testarossa, it is one of the iconic pieces of the 80’s. Actually, the car and the show go pretty much hand-in-hand. You cannot really picture the crime drama series without thinking of the music, the visual effects, and of course, the cars. Right from the get-go, Miami Vice featured a Ferrari as the main vehicle of the show. It was not the Testarossa though, but the Daytona Spider. However, due to legal issues, the showrunners need to replace the latter, and thus the Testarossa came into the picture. The new vehicle made quite a buzz. While it was not the convertible people were used to, it managed to get even more love. Teenagers all over the country started putting up posters of it (or at least of Miami Vice with the car in the background). The white Testarossa soon became the dream car to have. It screamed speed, action, and danger. Sadly though, with the end of the 80’s the vehicle lost its traction. People viewed the past decade as being way over the top, and Ferrari Testarossa was after all a part of that culture. In a sense, the thing that made it rise also led to its fall. For more than a decade after its production, it was seen as an undesirable model. Fortunately, that all changed with the years. 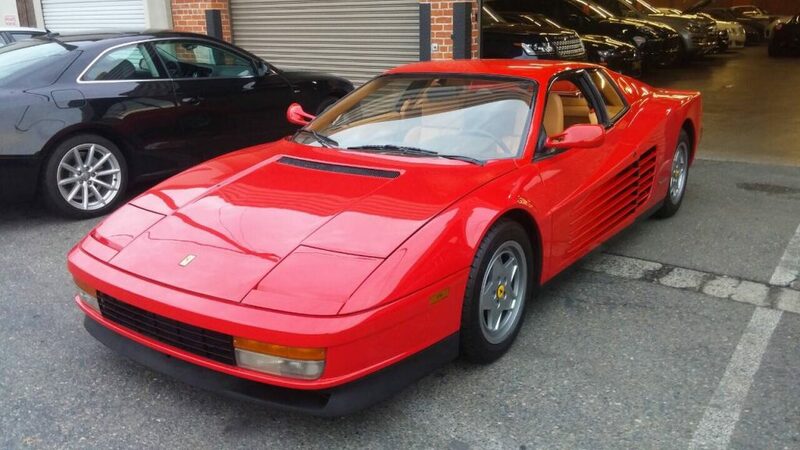 We mostly forgot about the cheesy part of the 80’s and all of a sudden the Testarossa became a classic. Little by little people’s interest in the car grew. They saw it as the capable beast it was, not just as the poster child of a bygone era. So they started buying it and this has continued to this day. But buying a classic means that you have to figure out a way to transport it. So we did. How do you ship such a vehicle? There is no question that Ferrari Testarossa is a special kind of car. It is not something that you would be driving every day on a cross-country road, is it? Even if it is in top operable condition, it should still be treated with respect. The issue is not that this car is not made for the road – it is rather that the road is not made for this car. As an auto transport company, we know quite a lot about classic car shipping. In fact, we have actually shipped a Ferrari Testarossa before. However, this kind of auto transport is nothing like what you may know. Generally, most of the cars nowadays are transported via a so-called open carrier. These trucks are what you have most likely seen on the interstate. They haul 6 to 9 vehicles, usually on two decks. Obviously, this is not a place for a luxury or classic car. That is because with an open carrier there is no protection from dust, road debris or the weather. Are you dreaming of the Testarossa? I still remember my toy Ferraris from when I was a child. Even my dad had a collection of his own, which he did not even let me touch. Among them was a beautifully polished red Testarossa. It was on display in a glass case high enough so I would not be able to reach it. So even back then I knew what dreaming about a Ferrari felt like. Tell me, do you want the Testarossa? Or do you fancy any other model of the company? I know that if I ever get the chance, I would have one in my garage. I will probably not even drive it that much but have it as an achievement. It will be kind of like “I made it” certificate. Perhaps that is what Ferrari means to you as well. Or you just want to feel its luxe, speed, and awesomeness. Whatever the case is if you are ever looking to buy one, remember that we from Corsia Logistics could always take care of the car shipping. Because such a car deserves our special care.